Bracalente proudly celebrated Manufacturing Day on October 26 in efforts to inspire the next generation of manufacturers. With hundreds of students from nearby schools, we had a great turnout as our participants were eager to learn more about manufacturing through a tour of our facility and hands-on learning sessions. Our attendees gained knowledge of the history of Bracalente as well as a better understanding of the many career opportunities in manufacturing. Manufacturing (MFG) Day is an annual nationwide event that celebrates the vast accomplishments of modern manufacturing and addresses ways to improve the challenges the industry faces. The day is dedicated to inspiring future generations to pursue a fulfilling career in the manufacturing industry by seeing firsthand not only how a manufacturing facility operates, but observing how dedicated and talented the employees are with all the hard work they deliver each and every day. This year, over 2,739 MFG DAY events were held nationwide, and Bracalente hosted one of them. How Did Bracalente Participate This Year? Nearly 180 students from Emmaus High School, North Montco Technical Career Center, Quakertown High School, Souderton Area High School, Upper Bucks Technical School, Upper Perkiomen High School and Western Montgomery Technical School attended our exciting MFG Day event. Our celebration included a presentation about the origins of manufacturing, which also included an overview of the history of our company as well as the specific types of manufacturing processes we handle, such as CNC Swiss machining. After the presentation, we gave several tours of our facility and provided lunch to participants. “It was very beneficial for the students to see firsthand the manufacturing processes used to produce a wide variety of machined components. The in-depth information the Bracalente employees shared with our groups was detailed and enlightening. This really emphasized the role and importance machining skills have in making many of the products used in all aspects of our daily lives. We’re thrilled that our event went so well and that we were able to lend a hand in encouraging younger generations to follow their passion and pursue a career in manufacturing. We look forward to celebrating MFG Day next year too! If you’ve got any questions about our manufacturing capabilities and services, be sure to contact us today. Bracalente Manufacturing Group has been presented with the ‘Silver Supplier Award’ by Unison Industries in recognition of our commitment to delivering an unmatched customer experience, precision machining and defect-free products, and on-time shipments. The award also recognizes our participation in Quality AMP events and our dedication to continuous improvement. Unison Industries, a subsidiary of GE Engine Services, Inc., is a leader in mechanical and electrical systems and components for aircraft engines and airframes. Serving both OEMs and aftermarket customers, the company develops a multitude of products for use in general, commercial, and military markets. Some of the components manufactured by Unison include piston and turbine engine ignition systems, electrical control systems, panel assemblies, brackets, flex joints, and bellows assemblies. Due to the complexities of these parts and the environments in which they’re utilized, attention to detail and the use of high-quality materials during the manufacturing process is essential. Bracalente has long been a global leader in manufacturing diversity. From our work in the defense, armament and aerospace industries, agriculture, automotive, industrial products and beyond, we have shown the capacity and capability to deliver orders of all sizes all around the world. 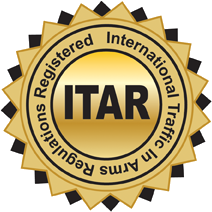 Along with our other quality standard certifications, we are pleased to announce that with our new ITAR registration, Bracalante will now expand our services to include both military and defense manufacturing. Type of metal, as well as plating and coating methods, must all be considered in order for your project to succeed. Choosing low-cost materials in an effort to save costs is one of the most common mistakes made in designing new products. While it is true that material selection plays an important role in determining the overall cost of a part, making that selection based solely on cost is not advised. In fact, it can lead to part failure and higher costs down the line. We at Bracalente have decades of experience in custom manufacturing. With our new eBook, The Power of Material Selection: Selecting the Right Material for Your Project, we can share some of the knowledge gained from that experience with you. We want to help you avoid the pitfalls of the material selection process. When starting a new project, one of most common issues is trying to reduce costs by choosing low cost materials. Material selection can hinder the development of your project if not chosen properly. Bracalente Manufacturing Group has years of experience with material selection for contract manufacturing. 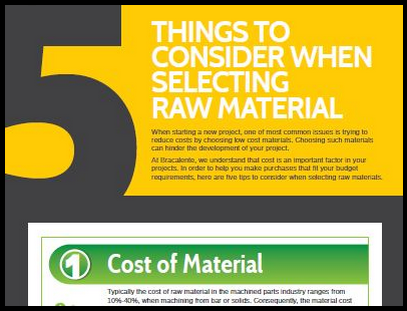 That is why we have developed an informative infographic to enlighten our readers on what we believe to be the top 5 things to consider when selecting raw material. At Bracalente, we understand that cost is an important factor in your projects. However, did you know that other major factors besides cost that should be taken into consideration? View our infographic by clicking here or on the image above! “Globalization” has long been a buzzword, and has only been gaining steam in today’s increasingly inter-connected world. It is essentially used to refer to growing trade and investment, especially with international businesses and economic integration abroad. 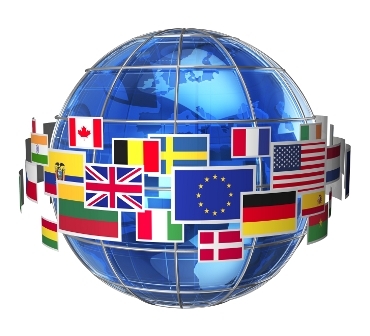 One of the greatest effects of globalization has been the rise of multinational companies. These businesses are typically headquartered in one country, but have a presence in other regions of the world. Manufacturers who have a global presence usually have certain steps of production carried out in various countries, where advantages can be leveraged.